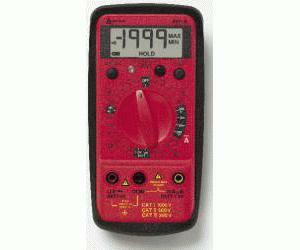 The Amprobe 5XP-A digital multimeter provides superior features and accuracy ina smaller form factor. The 5XP-A hasunique features such as VolTect™ non-contact voltage (NVC) detection and our exclusive Magne-Grip™ holster that frees both hands for work. The 5XP-A is the right choice for residential, commercial, and general troubleshooting applications.